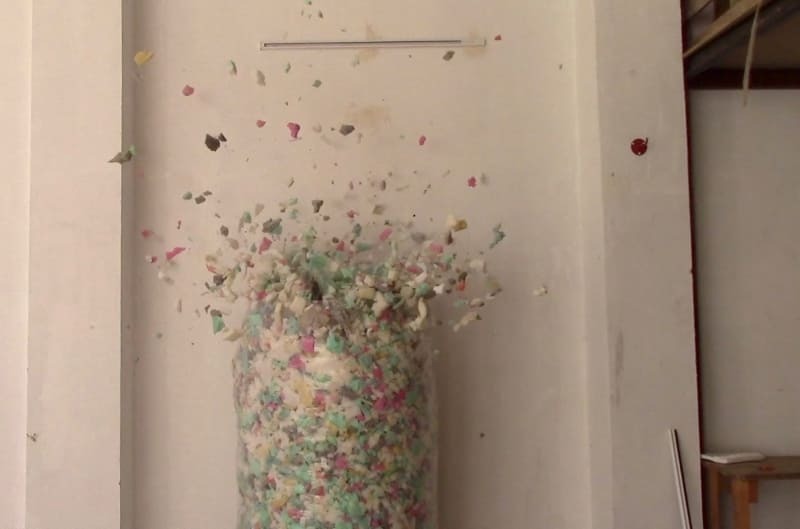 Shredded foam filling and firecrackers, video still. Partial explosions of bags of multicolored foam pieces. I was in Algiers during the days leading up to Mawlid, the birthday of the Islamic prophet Mohammed, when traditionally firecrackers are sold throughout the city. “Foam (I’m gonna live forever)” offers thematic cues of martyrdom, fame and coincidence. I used following firecracker brands: Mergeza, Cheitana, TNT, Fleur and Camouflage. The project is ongoing.